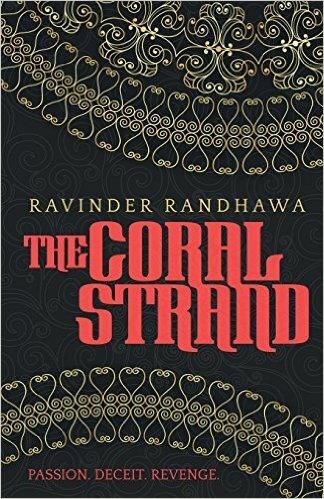 I am super excited to welcome the brilliant Ravinder Randhawa back to Tales today for another fab guest post this time celebrating her book, The Coral Strand which was released earlier this year published by Matador. I was a huge fan of Ravinder’s Beauty and the Beast (you can find my review here) and her short story collection Dynamite (you can find my review here) so I am super excited to find out what The Coral Strand has in story for me! Today Ravinder discusses her favourite scenes in the book…. From English winters to Indian summers. From the cold streets of modern Britain to the glamorous, turbulent and impassioned world of 1940’s Mumbai. Each year, Sita makes a mysterious journey to the Mausoleum, the place of dark memories and warped beginnings. She goes to spy on Emily and Champa, the strange ‘guardians’ she once escaped, and on whom she had taken a daring revenge. This year proves to be fatefully different… This year, the terrible secrets of the past are starting to emerge; secrets that inexorably link the three women to each other, to the grey-eyed stranger Kala, and to an altogether different world – the glittering, violent and passionate world of 1940’s Mumbai. Ravinder Randhawa’s women, caught in a desperate fight for survival, cross taboos and forbidden lines in this richly plotted novel, imbued with fascinating historical detail, and the beauties of place and period. Readers of modern and historical novels alike will enjoy Randhawa’s evocative portrait of the compelling relationship between Britain and India, which continues to enthrall and engage us. I have so many favourite scenes in The Coral Strand, I’ll restrict myself to four, from the early part of the book. 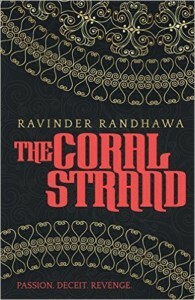 The Coral Strand is one of the few novels to present the dark side of empire and the Raj. We’re normally given a Raj that’s glamorous and pretty, with only a little bit of tyranny. But in my head, I can hear Emily saying, ‘first they established the empire over women, and then over countries.’ This sentence isn’t in the novel, but I can hear Emily saying it loud and clear. Emily instinctively understands what it’s all about and when faced with survival or destitution, has the guts to break one of the Empire’s taboos. On to favourite scenes: my first one is actually the opening scene. “Afraid? No fear. Not me.” This is how we meet Sita, one of the major characters, as she stares into a tiny mirror, and chants her daily mantra to herself. Sita’s determined to appear strong and independent, to stand on her own two feet, but every morning she needs to build up some Dutch courage. When she takes a bottle of Old Spice, the male cologne, and sprinkles herself with it as if it’s the most fragrant of feminine perfumes, we begin to guess there may be contrariness and rebellion simmering in her character. The scene takes us back to her childhood and introduces us to the formidable and mysterious Emily, who will brook no defiance, and who first gives her a bottle of Old Spice. We also learn that Sita ran away from Emily’s house. Opening the curtains, Sita rubs the condensation on the window, and a reflective, thoughtful Sita, looks out into the dark morning, noting the few windows which are lit, “early risers providing her with a distant sense of camaraderie.” I love the feeling this sentence gives, suggesting that Sita instinctively feels a kinship with other people, a connectedness. Echoing one of the major themes in the novel, about people being connected to each other, and the need to find out how and why. My second favourite scene is where Sita assembles herself, item by item, garment by garment, make-up colour by make-up colour, copying the image in an Asian magazine. Because she doesn’t know how to dress for an Asian occasion, and has to engineer an imitation. For me, it carries echoes of how women, so often have to ‘construct’ themselves, ‘engineer’ themselves, for the outside world. The fourth scene is set in Bombay*1942. Thomas and Emily have just disembarked from their ship, and are checking into a boarding house. Unknown to Emily, Thomas has a secret lover in Bombay, a woman called Champa. Two of Champa’s acquaintances see Emily arriving with Thomas; discover she’s his new wife, and immediately set off to see Champa. In Champa’s rooms, the women are formal and polite: “To fully milk the enjoyment of an event, suspense must be created, with hints and teases strewn along the path.” When they finally reveal the truth, one of the women, nick-named Telegram, gets completely carried away, wildly exaggerates the beauty of Emily’s looks, and extravagantly elevates her importance by hinting she may be linked to English nobility, perhaps Royalty itself. “Emily was never to know how much she owed Telegram, for after her description of Emily, Champa never quite managed to shed the image and information she was first fed.” And thus, events are set in motion, which cross decades and carry them across the ocean to England. A huge thank you to Ravinder for such a fab guest post and to Faye Rogers for organising. I can’t wait to read The Coral Strand! Have you read The Coral Strand? What did you think? 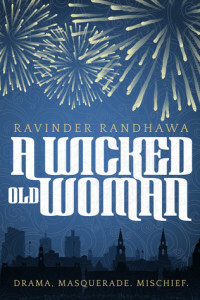 Have you read of Ravinder’s other books? Why not leave a comment using the reply button at the top of the page or tweet me on twitter using @chelleytoy ! This entry was posted in Adult Fiction, Contemporary, Guest Post and tagged Adult Fiction, Contemporary, Guest Post, Matador, Ravinder Randhawa, The Coral Strand on November 17, 2016 by Chelley Toy. When the lovely Faye Rogers asked me if I would like to be part of this fab blog tour I jumped at the chance. I loved Ravinder Randhawa’ s other books I read this year Dynamite and Beauty And The Beast which I reviewed as part of a previous blog tour. 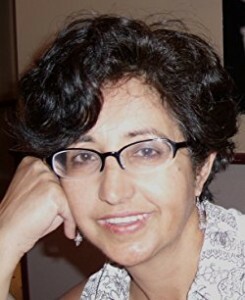 For my stop on the blog tour the lovely author Ravinder Randhawa is sharing some poetry with us and reflecting on love and loss. A huge thank you to Faye Rogers and author Ravinder Randhawa for having me on this wonderful tour! Our lives seesaw on love and loss. Even when we’ve lost, we continue to love. Grieving, bitter-sweet memory accompanying our days. Where there was presence, there’s now absence; where there was a voice, there are only echoes; where there was a future, there’s only a past. The world will never be the same again. The following three poems cover the centuries from 725 to 2015. The emotions of the oldest poem to the newest, touch us with the same poignancy and haunting sadness as when they were first written. I was introduced to the ‘River Merchant’s Wife,’ by an actor friend, who read it out to a group of us after dinner. Silencing us with the gentle love story of these two young people, and the wife’s long wait, her yearning hopefulness. The seesaw swings and we have one of the most beautiful love poems in the English language, ‘Shall I Compare Thee to a Summer’s Day?’ which refuses to acknowledge loss. Whether it’s the loss of youth and beauty, or life and love. ‘Phone Call on a Train Journey,’ is peculiarly a product of our technology. The anguish of receiving such news while held in solitary captivity on a train, where your feelings have nowhere to go, to till the train reaches the station. weighs no more than a grain of rice. checks the eyelets in fabric. Could you confirm you were his sister? lighter than she had imagined. Why not catch up on the rest of this wonderful blog tour! 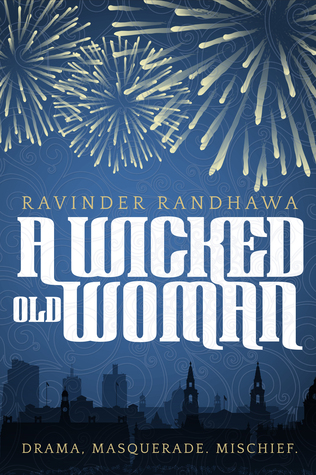 Have you read A Wicked Old Women or any other books by Ravinda Randhawa? What did you think? I would love to hear from you! Why not leave a comment using the reply button at the top of the page or tweet me on twitter using @chelleytoy ! 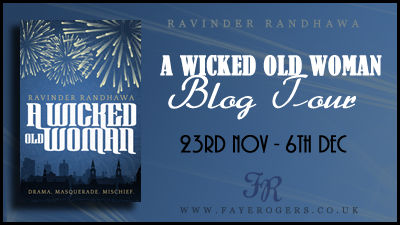 This entry was posted in Adult Fiction, Contemporary, Guest Post and tagged A Wicked Old Woman, Adult Fiction, Blog Tour, Contemporary, Guest Post, Matador, Ravinder Randhawa on December 6, 2015 by Chelley Toy.